T hanks to the internet, buying tickets to see your favorite teams or performers has never been easier. Unfortunately, this also means that the chances of falling for ticket scams is also more likely. Here are a few tips to follow whenever you buy tickets online or through resale. There are certain websites that guarantee the ticket you are buying are real. Before purchasing tickets online, do some research to make sure the site is legitimate. When paying for tickets you bought online, use either a cashier’s check or a secure method such as PayPal. A cashier’s check will protect your information from falling into the wrong hands. Using these methods provides you with the chance to get your money back if it turns out to be fraud. Using a credit card will help protect you if it turns out your purchase was fraudulent. If you use a debit card and someone gets a hold of it, they can drain your bank account. While you will get reimbursed, it may take a while depending on the situation. If just the credit card number is stolen, you are not responsible for any purchases that are made. Just remember to make the report as soon as possible if your information is stolen. If someone asks for information such as a credit card number over the phone, don’t give it to them. 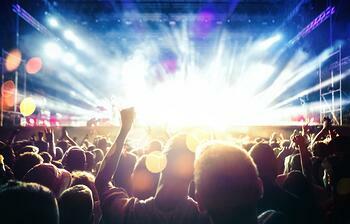 Legitimate ticket companies, such as Ticketmaster, will NEVER ask for personal information over the phone. If you do meet the seller in person to complete a sale, be safe. Meet in a public space where there is a lot of foot traffic. When possible, bring along a friend. Many police departments have declared themselves ‘safe spaces’ for people who want to complete in-person transactions. Most importantly, if something sounds too good to be true, it most likely is. Use your best judgment when it comes to buying tickets online.